Union Budget 2016: Under the existing provisions of Chapter-XII-EA of the Act consisting of sections 115TA, 115TB and 115TC, special taxation regime in respect of income of the securitisation trusts and the investors of such trusts has been provided. The regime provides that income distributed by the securitisation trust to its investors shall be subject to a levy of additional tax to be paid by the securitisation trust within 14 days of distribution of income. The distribution tax shall be paid @ 25% if the distribution is made to an individual or a Hindu undivided family (HUF) and @ 30% if the distribution is to others. Further, no distribution tax is to be levied if the distribution is made to an exempt entity. Consequent to the levy of distribution tax, the income of the investor, received from the securitisation trust, is exempt under section 10(35A) of the Act and the income of securitisation trust itself is exempt under section 10(23DA) of the Act. It has been represented that under the current regime, the trusts set up by reconstruction companies or the securitisation companies are not covered although such trusts are also engaged in securitisation activity. These companies are established for the purposes of the Securitisation and Reconstruction of Financial Assets and Enforcement of Security Interest Act, 2002 (SARFAESI Act) and their activities are regulated by the Reserve Bank of India (RBI). It has been represented that the existing regime providing for final levy in the form of distribution tax is tax inefficient for the investors specially the banks and financial institutions. Disallowance of expenditure in respect of income received from securitisation trust increases the effective rate of taxation. Further, the non-resident and resident investors are unable to take benefits of their specific tax status. The trust shall provide breakup regarding nature and proportion of its income to the investors and also to the prescribed income-tax authority. Further, it is proposed to provide that the current regime of distribution tax shall cease to apply in case of distribution made by securitisation trusts with effect from 01 .06.2016. These amendments will take effect from 1stJune, 2016. Clause 3 of the Bill seeks to amend section 2 of the Income-tax Act relating to definitions. Sub-clause (a) of the said clause seeks to amend clause (14) of the aforesaid section which defines “capital asset” and item (vi) of the said clause (14) excludes from the definition of capital asset, inter alia, Gold Deposit Bonds issued under the Gold Deposit Scheme, 1999 notified by the Central Government. It is proposed to amend item (vi) of the said clause (14) so as to also exclude the deposit certificates issued under the Gold Monetisation Scheme, 2015 from the definition of capital asset. This amendment will take effect retrospectively from 1st April, 2016 and will, accordingly, apply in relation to assessment year 2016-2017 and subsequent years. Sub-clause (b) of the said clause proposes to insert a new clause (23C) to define the term “hearing” so as to include communication of data and documents through electronic mode. This amendment will take effect from 1st June, 2016. Sub-clause (c) of the said clause proposes to amend clause (24) relating to the definition of income. Sub-clause (xviii) of clause (24) of the aforesaid section, inter alia, provides that any assistance in the form of a subsidy or grant or cash incentives, etc., by the Central or a State Government to any assessee other than the subsidy or grant or reimbursement which is taken into account for determination of the actual cost of the asset, in accordance with Explanation 10 to clause (1) of section 43, shall be included in the definition of income. It is proposed to amend the said sub-clause (xviii) so as to provide that subsidy or grant by the Central Government for the purpose of the corpus of a trust or institution established by the Central Government or a State Government, as the case may be, shall also not form part of income. This amendment will take effect from 1st April, 2017 and will, accordingly, apply in relation to the assessment year 2017-2018 and subsequent years. Sub-clause (d) of the said clause seeks to amend clause (37A) of the said section so as to provide that for the purposes of deduction of tax under section 194LBB, or section 194LBC the “rates in force” in relation to an assessment year or financial year shall mean the rate or rates of income-tax specified in this behalf in the Finance Act of the relevant year or rate or rates of income-tax specified in an agreement entered into by the Central Government under section 90 or notified by the Central Government under section 90A, whichever is applicable. Clause 7 of the Bill seeks to amend section 10 of the Income-tax Act relating to incomes not included in total income. Sub-clause (A) of the said clause seeks to amend clause (12) of the aforesaid section. The said clause provides that the accumulated balance due and becoming payable to an employee participating in a recognised provident fund, is exempt from tax, subject to fulfilment of certain conditions specified in rule 8 of Part A of the Fourth Schedule. It is proposed to amend the said clause (12) so as to provide that nothing contained in this clause shall apply in respect of any amount of accumulated balance, attributable to any contributions made on or after the 1st day of April, 2016 by an employee other than an excluded employee, exceeding forty per cent. of such accumulated balance due and payable in accordance with provisions of rule 8 of Part A of the Fourth Schedule. It is further proposed to insert a new clause (12A) in the said section so as to provide that any payment from the National Pension System Trust to an employee on closure of account or his opting out of the pension scheme referred to in section 80CCD, to the extent it does not exceed forty per cent. of the total amount payable to him at the time of closure or his opting out of the scheme, shall be exempt from tax. It is also proposed to amend clause (13) of the said section so as to provide that any payment in commutation of an annuity purchased out of contributions made on or after the 1st day of April, 2016, which exceeds forty per cent. of the annuity, shall be chargeable to tax. The said clause also seeks to provide that any payment from an approved superannuation fund by way of transfer to the account of the employee under a pension scheme referred to in section 80CCD notified by the Central Government shall be exempt from tax. These amendments will take effect from 1st April, 2017 and will, accordingly, apply in relation to assessment year 2017-2018 and subsequent years. Sub-clause (B) of the said clause seeks to amend clause (15) of the said section so as to provide that the interest on deposit certificates issued under the Gold Monetisation Scheme, 2015 notified by the Central Government shall also be exempted from income-tax. Sub-clause (C) of the said clause seeks to amend clause (23DA) of the said section so as to provide that the definition of the term “securitisation” for the purposes of the said clause shall also include securitisation, as defined in clause (z) of sub-section (1) of section 2 of the Securitisation and Reconstruction of Financial Assets and Enforcement of Security Interest Act, 2002. It is further proposed to amend clause (23FC) of the said section so as to provide that any income of a business trust by way of interest received or receivable from a special purpose vehicle or the dividend referred to in sub-section (7) of section 115-O shall also not be included in total income of such business trust. It is also proposed to amend clause (23FD) of the said section so as to provide that any distributed income from a business trust received by a unit holder which is of the same nature as dividend referred to in sub-section (7) of section 115-O shall not be included in the total income of such unit holder. It is also proposed to amend clause (34) of the said section so as to provide that any income by way of dividend in excess of ten lakh rupees shall not be exempt from tax in the case of an individual, Hindu undivided family or a firm. It is also proposed to amend clause (35A) of the said section so as to provide that nothing contained in the clause shall apply to any income by way of distributed income referred to in section 115TA received on or after the 1st day of June, 2016. It is also proposed to amend clause (38) of the said section so as to provide for exemption from capital gains tax in case of income arising from transaction undertaken on a recognised stock exchange located in the International Financial Services Centre and the consideration for such transaction is paid or payable in foreign currency. It is also proposed to define the expressions International Financial Services Centre and recognised stock exchange. These amendments will take effect from 1st April, 2017 and will, accordingly, apply in relation to the assessment year 2017- 2018 and subsequent years. Sub-clause (D) of said clause seeks to insert a new clause (48A) in the said section so as to provide for exemption in respect of any income of a foreign company on account of storage of crude oil in a facility in India and sale of crude oil therefrom to any person resident in India subject to the conditions that the storage and sale by the foreign company is pursuant to an agreement or an arrangement entered into by the Central Government or approved by the Central Government and having regard to the national interest, the foreign company and the agreement or arrangement are notified by the Central Government in this behalf. This amendment will take effect retrospectively from 1st April, 2016 and will, accordingly, apply in relation to the assessment year 2016-2017 and subsequent years. Sub-clause (E) of the said clause seeks to insert a new clause (50) in the said section so as to provide that any income arising from specified services provided on or after the date on which the provisions of Chapter VIII of the Finance Act, 2016, comes into force and chargeable to equalisation levy under that Chapter shall be exempt. It is further proposed to provide an Explanation under the proposed clause (50) so as to provide that the expression “specified service” shall have the meaning assigned to it in clause (i) of section 161 of the Chapter VIII of the Finance Act, 2016. Clause 57 of the Bill seeks to amend section 11 5TA of the Income-tax Act relating to tax on distributed income to investors. It is proposed to amend the said section so as to provide that nothing contained in this section shall apply in respect of any income distributed by the securitisation trust to its investors on or after the 1st day of June, 2016. Clause 58 of the Bill seeks to amend section 1 15TC of the Income-tax Act relating to securitisation trust to be assessee in default. The Explanation to the aforesaid section defines various expressions for the purposes of section 1 15TA, section 1 15TB and also the said section 1 15TC. It is proposed to amend the definition of “investor” as provided in clause (a) of the said Explanation so as to include a person who has invested in the security receipt as defined under the Securitisation and Reconstruction of Financial Assets and Enforcement of Security Interest Act, 2002.
a trust set up by a securitisation company or a reconstruction company formed, in accordance with the provisions of the Securitisation and Reconstruction of Financial Assets and Enforcement of Security Interest Act, 2002 or in pursuance of any guidelines and directions issued by the Reserve Bank of India. It is also proposed to provide that the expression “security receipt” shall have the same meaning as assigned to it in in clause (zg) of sub-section (1) of section 2 of the Securitisation and Reconstruction of Financial Assets and Enforcement of Security Interest Act, 2002. These amendments will take effect from 1st June, 2016. Clause 59 of the Bill seeks to insert a new section 1 15TCA in the Income-tax Act relating to tax on income from securitisation trusts. Sub-section (1) of the proposed new section seeks to provide that any income accruing or arising to, or received by, a person, being an investor of a securitisation trust, out of investments made in the securitisation trust, shall be chargeable to income-tax in the same manner as if it were the income accruing or arising to, or received by, such person had the investments made by the securitisation trust been made directly by him. Sub-section (2) of the proposed new section seeks to provide that the income paid or credited by the securitisation trust shall be deemed to be of the same nature and in the same proportion in the hands of the person referred to in sub-section (1), as if it had been received by, or had accrued or arisen to, the securitisation trust during the previous year. Sub-section (3) of the proposed new section seeks to provide that the income accruing or arising to, or received by, the securitisation trust, during a previous year, if not paid or credited to the person referred to in sub-section (1), shall be deemed to have been credited to the account of the said person on the last day of the previous year in the same proportion in which such person would have been entitled to receive the income had it been paid in the previous year. Sub-section (4) of the proposed new section seeks to provide that the securitisation trust and the person responsible for crediting or making payment of the income on behalf of securitisation trust shall furnish, within such time, as may be prescribed, to the person who is liable to tax in respect of such income and to the prescribed income-tax authority, a statement in such form and verified in such manner, giving details of the nature of the income paid or credited during the previous year and such other relevant details, as may be prescribed. Sub-section (5) of the proposed new section seeks to provide that any income included in the total income of the person referred to in sub-section (1) in a previous year shall not be included in the total income of such person in the previous year in which such income is actually paid to him by the securitisation trust. Clause 82 of the Bill seeks to insert a new section 1 94LBC in the Income-tax Act relating to income in respect of investment in securitisation trust. (ii) thirty per cent., if the payee is any other person. Sub-section (2) of the proposed new section seeks to provide that where any income is payable to an investor, being a non­resident (not being a company) or a foreign company, in respect of an investment in a securitisation trust specified in clause (d) of the Explanation to section 11 5TCA, the person responsible for making the payment shall, at the time of credit of such income to the account of payee or at the time of payment thereof in cash or by issue of a cheque or draft or by any other mode, whichever is earlier, deduct income-tax thereon, at the rates in force. It is also proposed to provide an Explanation under the proposed new section to provide that the term “investor” shall have the meaning assigned to it in clause (a) of the Explanation to section 115 TCA; and also that where any income referred to in the proposed section is credited to any account, whether called “suspense account” or by any other name, in the books of account of the person liable to pay such income, such crediting shall be deemed to be the credit of such income to the account of the payee, and the provisions of this section shall apply accordingly. Clause 83 of the Bill seeks to amend section 197 of the Income-tax Act relating to certificate for deduction at lower rate. 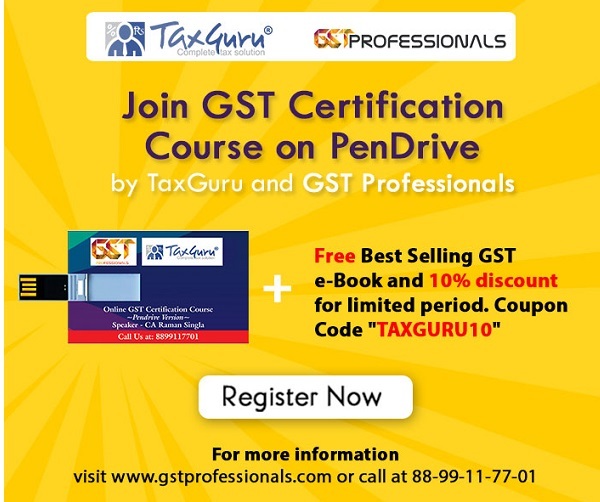 It is proposed to amend sub-section (1) of the said section to provide that where, in the case of any income of any person or sum payable to any person, the income-tax is required to be deducted at the time of credit or, as the case may be, at the time of payment under the provisions of section 194LBB and section 1 94LBC the Assessing Officer is satisfied that the total income of the recipient justifies the deduction of income-tax at any lower rates or no deduction of income-tax, as the case may be, the Assessing Officer shall on an application made by the assessee in this behalf, give to him such certificate as may be appropriate. 80C Limits Have Not Increased but Your Savings Can, Here’s How?